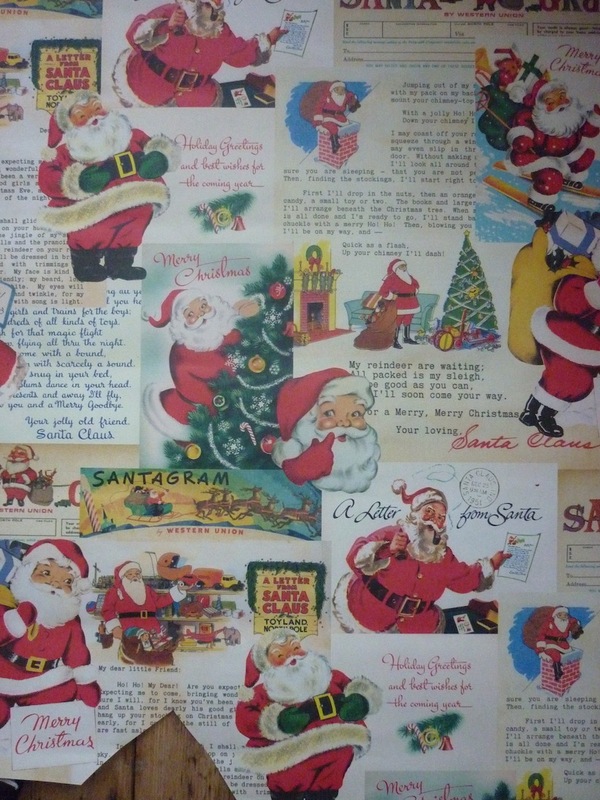 I cut around the Santas, and then glued them onto card (thank you, spray mount). By doing it this way, it is easier to cut the precise shape of the Santas and card in one go. As I used permanent adhesive spray mount, I didn’t have to worry about gloops of glue. 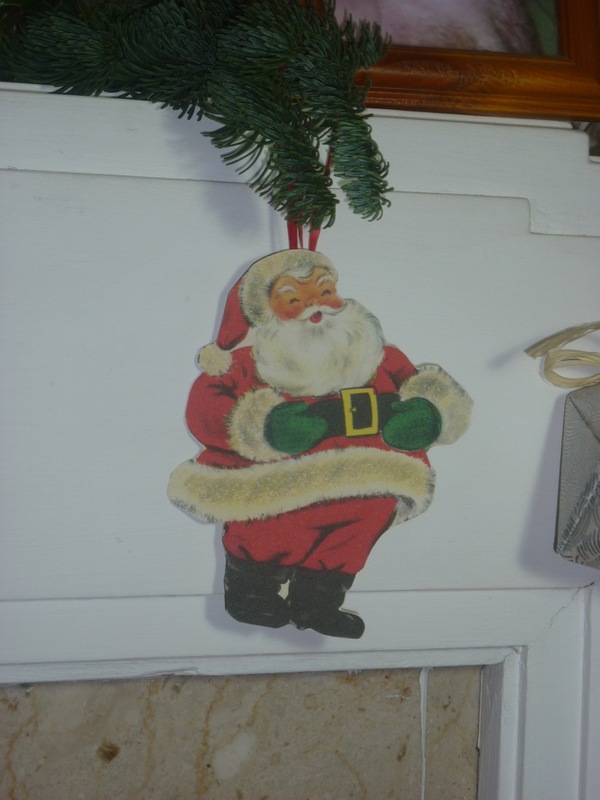 By cutting around the Santas before mounting, I knew the glue would go all the way up to the edge. After that I stuck on some ribbon to make Santa hangers. My partner has hung them all over our flat! 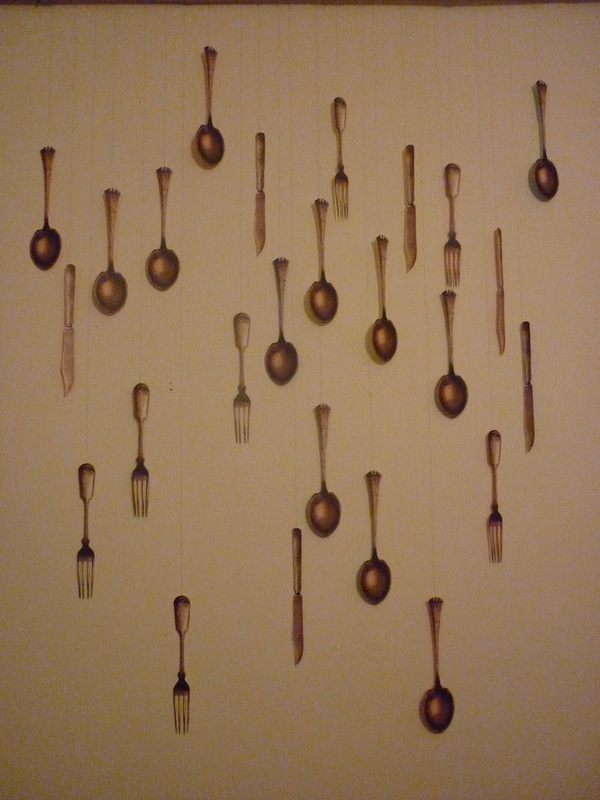 Appropriately, they hang above the dining table. 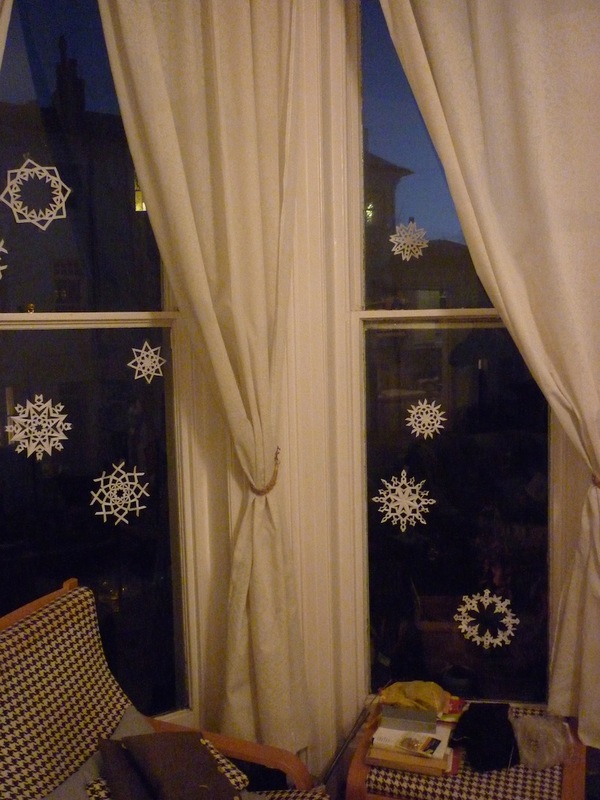 My guess is, that these will remain in place well after Christmas, as I really like the effect. They don’t all hang flat against the wall, and so sometimes twist to show the back. 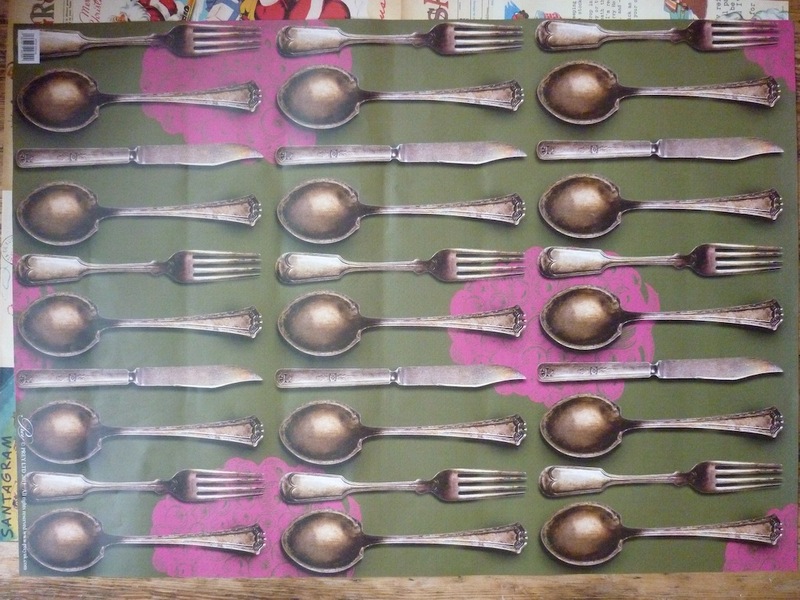 I used card in different colours, and the silhouette of cutlery shapes is instantly recognisable, so I quite like the effect of silhouettes mixed with realistic looking cutlery. This year we decided to leave the Christmas tree at the market stall, and settled for a few branches of spruce, holly, and, erm, tulips. 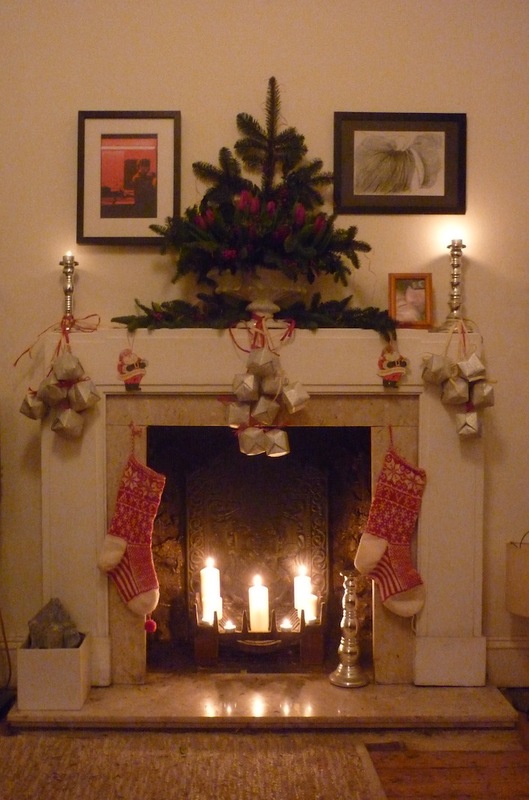 Add some candles and I think you’ll agree that even without a tree, our living room looks suitably festive!